A little while ago I shared a festive snippet with you from the sequel to my first novel, Another Cup of Coffee, – Another Cup of Christmas! 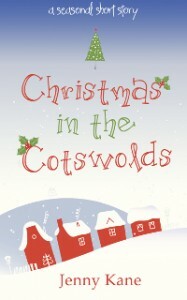 Today I thought I’d share a little from this years festive story, Christmas in the Cotswolds! Another Cup of Christmas is set in and around Pickwicks Coffee House in Richmond (on the outskirts of London), and five years have elapsed since the close of Another Cup of Coffee, and there are a few new faces to be spotted amongst the old, including Megan, the cafe’s new waitress. 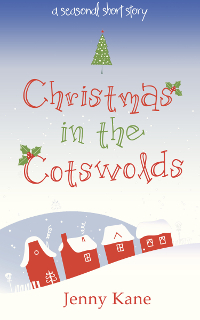 This year, my Christmas novella, Christmas in the Cotswolds, carries on Megan’s story exactly a year later- and this time, she is on her travels. Megan turned off the engine of the battered old car she’d borrowed from her boyfriend with a sigh of relief. Despite checking and double-checking her directions, she’d still managed to take a couple of wrong turns once she’d left the motorway and started to wind her way through the Cotswolds. Megan knew that if she’d been with Nick, every road she’d driven down in error would have added to the adventure, but on her own, after such a long drive, she’d begun to feel a little panicky and lost. Now, outside the converted St Peter’s church, Megan climbed from the car, and was just taking in the frosty beauty of the picture-postcard sandy-coloured cottages, when she found herself the target of a beaming Izzie, who had enveloped her in a bear hug within seconds. Her fatigue evaporating in the face of her friend’s infectious enthusiasm, Megan allowed herself to be led through the arched doorway of the church into the porch, and drew in a surprised breath. What had once been the south aisle was now full of repositioned church pews and tables, which obviously formed the café part of the attraction. With a stained glass window reflecting coloured light across the space from both the right and left of the aisle, it felt both welcoming and peaceful at the same time. The original font was still in position to the left of the doorway, and Megan could picture generations of babies being baptised there. Beyond the font was a rack which had presumably once held hymn books but now housed a collection of paperback books, newspapers, and magazines for the café’s visitors to read while they sipped their drinks. ‘I think it’s best I show you.’ Izzie led Megan out of the shelter of the south aisle and through the nave, before turning right and taking a few steps towards the chancel. The floor was littered with a fine stone dust. A series of tools and brooms were propped up against the wall, and as the temperature dropped further Megan saw clearly exactly why the church felt even colder than she’d expected. A hole about half a metre square was thoroughly ventilating the old building, despite being covered with a sheet of see-through polythene. The presence of a very long ladder told Megan that someone had been shoring up the damage, but there wasn’t a workman in sight. Having met Lady Spencer-Harris on a couple of occasions when she’d visited Izzie during their college holidays, Megan had no problem imagining that she wouldn’t approve of her only daughter doing any sort of manual work, even if it was preserving part of the nation’s heritage at the same time.